The location of this site adjacent to the canal basin was the primary challenge. The boardwalk was to be built out over the water from an existing narrow footpath to allow a 3m wide pedestrian walkway. It was not possible to use heavy machinery. The only option was to install the boardwalk from the water. 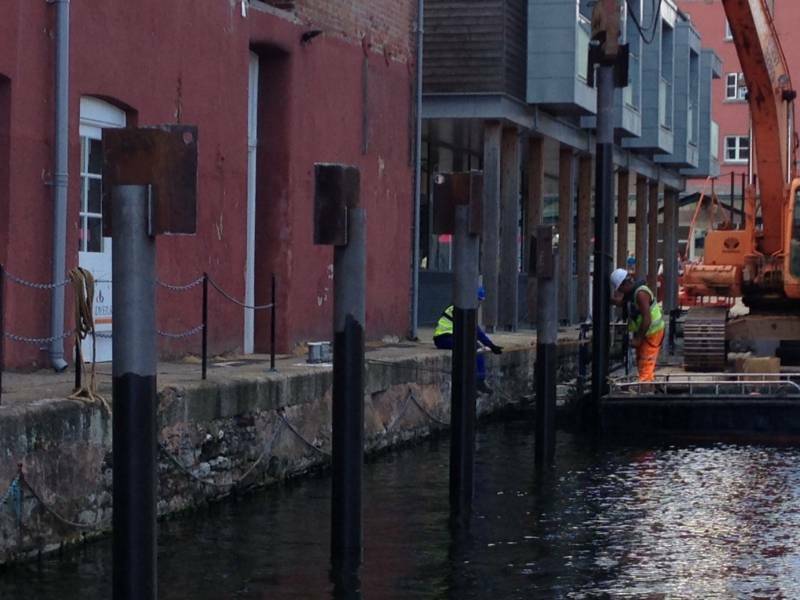 Building the boardwalk out from the quayside required piles to be driven into the ground underwater to support the outside of the structure. 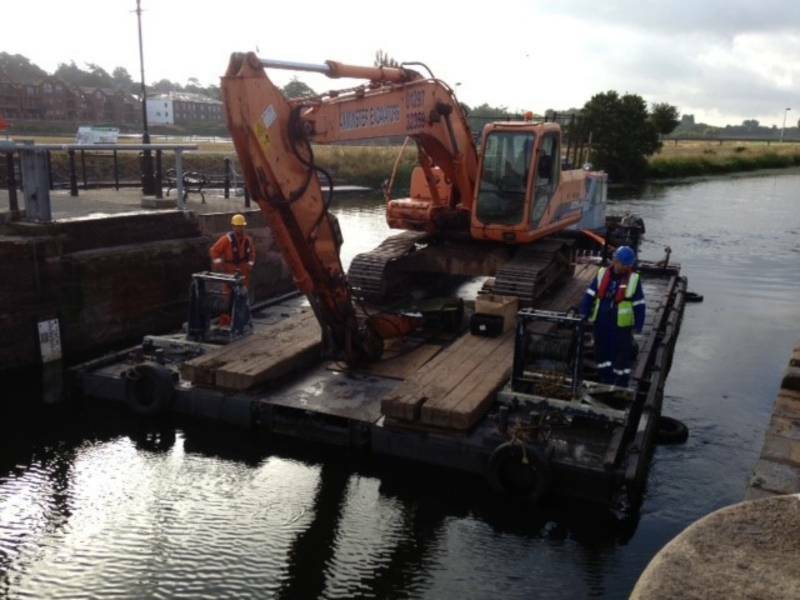 The contract called for round piles however, a round pile driver would not fit on the machine on the barge. Working together with our partners at Axminster Excavators, the solution was to use an ordinary sheet piling hammer adapted to specially fit onto the round piles. 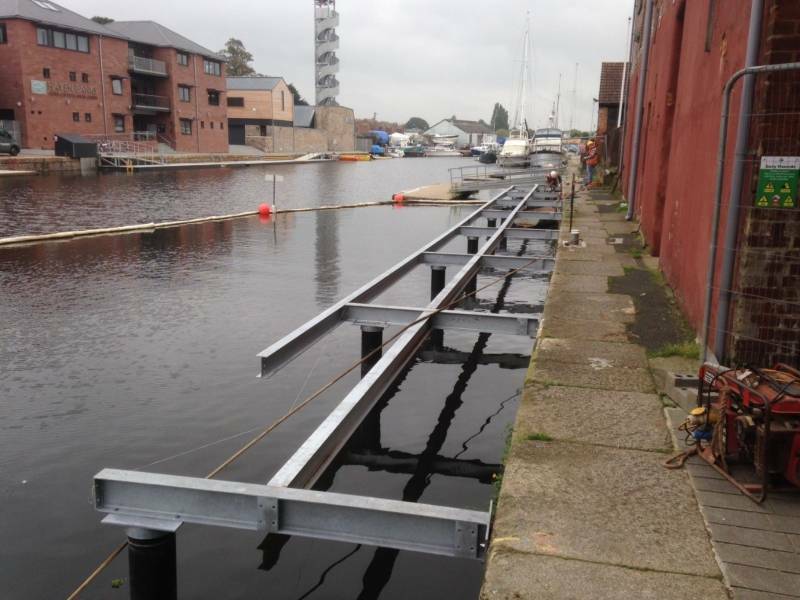 From a raft of 4 pontoons we were able to utilise the equipment and pile accurately.